Iceland is known for cold weather conditions during a large part of the year. One of the best ways that Icelanders have found to warm those inner bones is with alcohol. When planning a trip to any country, it is always nice to know what the beverages are before you order one in the local bar or pub. Here are 10 alcoholic beverages in Iceland you can enjoy in the land of Leif Ericson. Brennivín is an unsweetened Schnapps that is made from potato mash and seasoned with caraway, cumin, and angelica. Brennivín has a very distinct taste and is normally 80 proof. 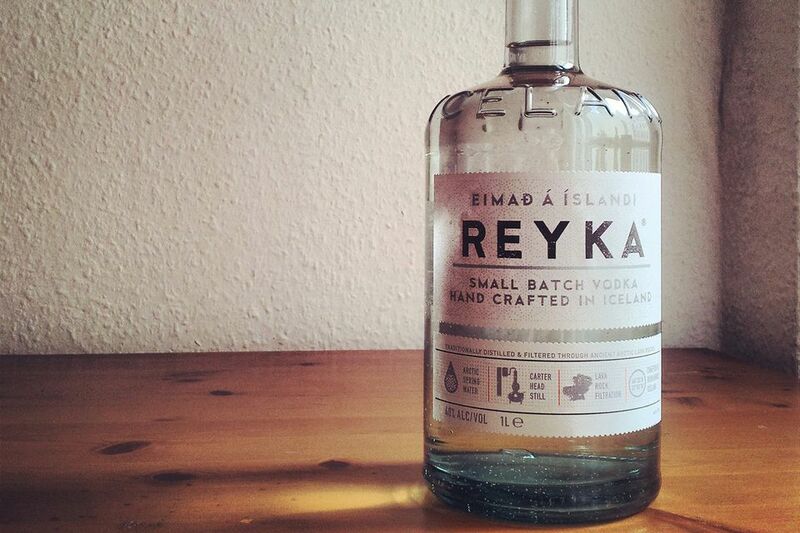 Many would claim this Icelandic vodka is the best in the world. The water used to make Reyka comes from a 4,000-year-old lava field. You will taste a smooth warmth with just a touch of vanilla flavoring. This vodka is brewed in one of the coldest places on Earth. Yes, this drink is actually made from ocean moss that is soaked in an alcohol solution. No artificial ingredients are added. This drink has been used medicinally for years. If you have a cough from the cold Iceland conditions this is one of the alcoholic beverages in Iceland that will help you. Until the late 1980's, beer was illegal in Iceland. Things have changed and Viking Gold beer is the favorite of both locals and tourists alike. It is a strong lager beer and has won many awards. Because of the ban on beer for so many years, Icelanders came up with a plan; they took the legal, low alcohol content Pilsner beer and mixed vodka with it. The name of the drink is bjórlíki and is still favored in the Iceland countryside. This is a very popular drink in Iceland because there is a candy with the same flavor as the alcohol. When children bypass the candy stage, they go to the Opal. It's said to taste like Vick's cough drops, which may not be appetizing to some. Topas is a liquor that is made with many herbs and sweet licorice. A very sweet and strong drink that also has a cough syrup type of flavor. It is quite popular. Icelanders do love beer. It was illegal for so many years that once it became legal, it became a hit. This version from the brewer Egils is very strong at 6.2 percent alcohol. It has a very bitter taste but is loved. This Egils beer is also loved very much. It is a much lighter beer and carries 5 percent alcohol. It has a sweet taste and is a favorite among many in the cold regions of Iceland. Some skip the schnapps and vodka and go straight to the gin. Ísafold Gin is a slightly dry gin with a smooth taste that make it easy on the way down. As you can tell, drinking alcohol is a favorite past time in the cold regions of Iceland. When you arrive, the best buys on alcohol are at the duty-free shop, however the best atmosphere are at the bars where the locals are. Just please remember, have fun, but drink responsibly.